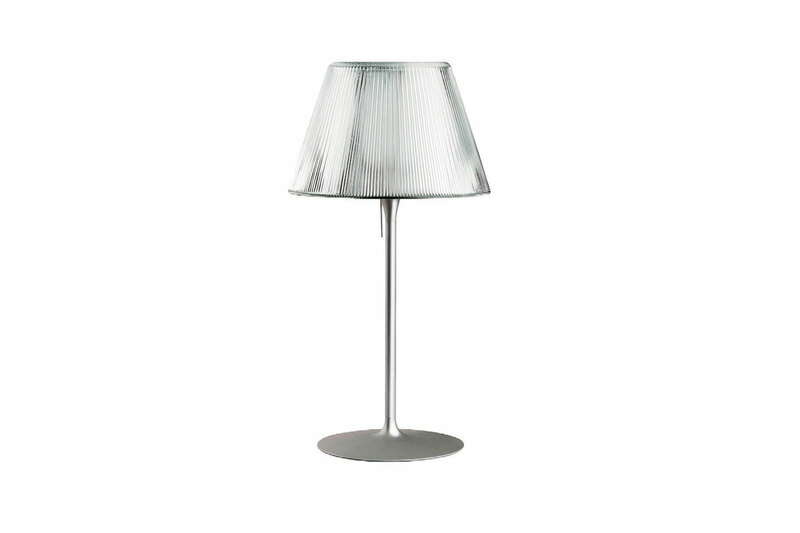 A part of the luminaire series designed by Philippe Starck, the Romeo Moon T table lamp enhances the living space with its timeless and refined design. This lighting fixture consists of a pressed clear glass lampshade and acid-etched pressed borosilicate glass internal diffuser. Diffuser is available in two dimensions.